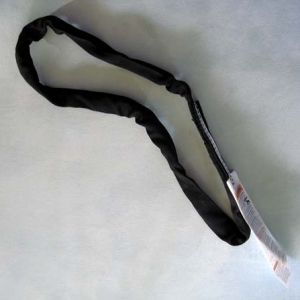 Assembled with your choice of 4 to 10 yards of durable, easy to clean, comfortable aerial fabric, 2 multiple links 24 inches long, and 2 steel carabiners. 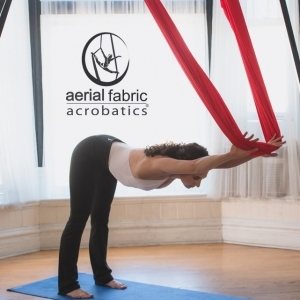 All hammocks are customized with 4 to 10 yards of Specially Ordered aerial fabric called Tricot. 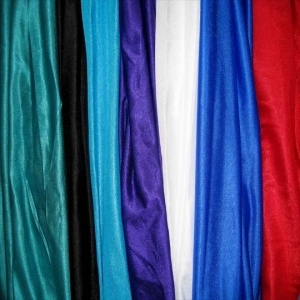 It is the same fabric as the Tricot we stock, but the colors are what makes it different. It is tightly woven, durable, and easy to clean. It is comfortable because it stretches on the width not the length. It is 9 feet wide or 108 inches. 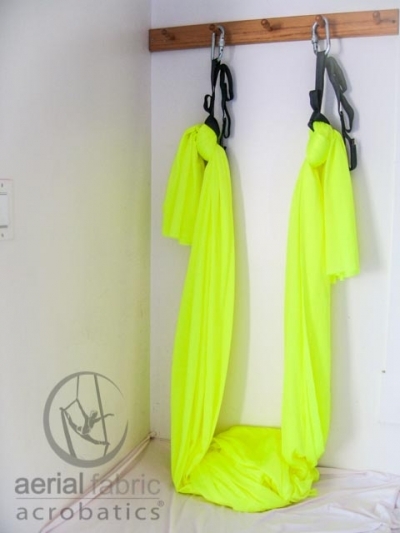 It is used for aerial dance and aerial hammocks. 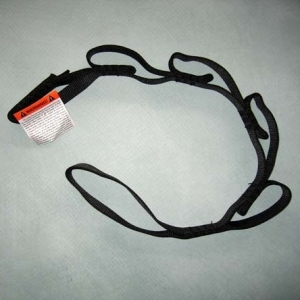 The aerial fabric is attached to 2 Multiple links or daisy chains. 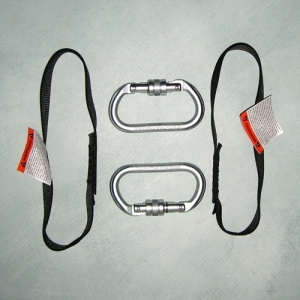 The Multiple Links used are 2 feet long and allows you to adjust your Yoga Hammock height from the floor in 4-inch increments. 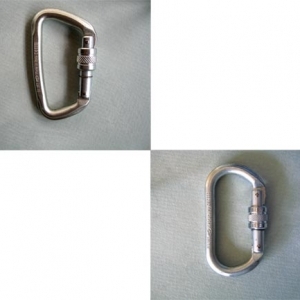 Comes with 2 steel screw gate carabiners, either oval or modified D in shape. Article: What is the difference between the Hammocks? After washing, you can easily re-assemble this hammock. Refer to our video to guide you in the process. The Aerial Fabric is 100% Nylon 6 Tricot fabric, 108 inches wide or 9 feet and is tightly woven 40 denier or thread thickness. 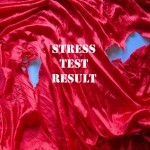 The fabric has been stress tested and tears when stressed at 2,000 pounds. 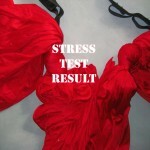 When stressed the occurs at the attachment or knot. Certification of strength provided upon request. The black web multiple link is rated at 4,000 pounds, and each loop is rated at 3,400 pounds. The steel caribiner can be either an oval or a modified D shape and is rated at 50 kN or 11,250 pounds. The fabric can be washed in a washing machine on a gently cycle using warm water and a liquid detergent such as Woolite. An extra rinse cycle is advised to remove soap residue. Our practice is to wash our fabrics once a month. We dry them in the dryer at a medium temperature. 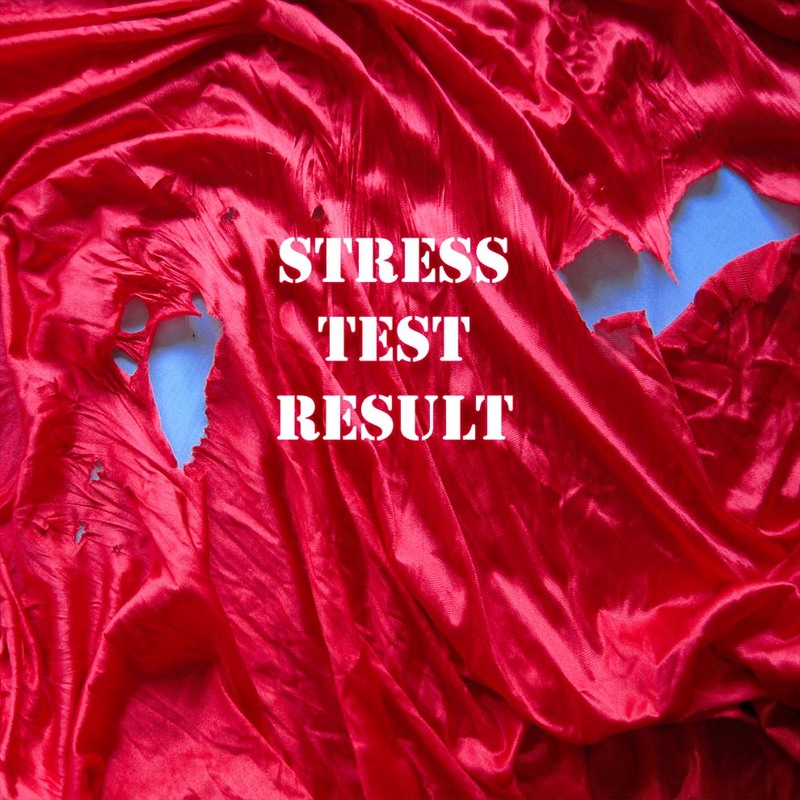 Please check your fabric frequently and although it can have small holes, please try to prevent these by taking care to not have long finger nails or toe nails and of course, no jewelry of any type. When rigging in theaters be aware your fabric can get damaged on lights and frayed cables. Also, costumes that have metal parts can damage your fabric.